Game developers 5pb. 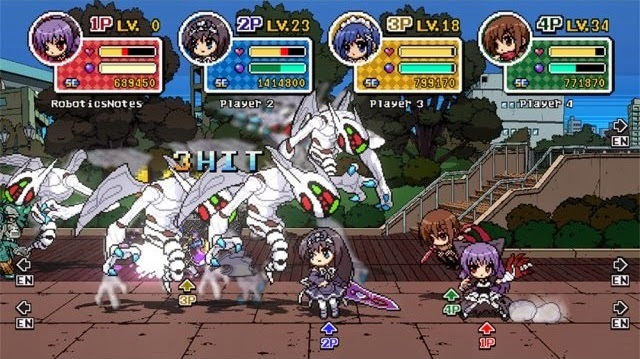 have announced they will be launching the side-scroller, beat em' up game Phantom Breaker: Battlegrounds in North America and Europe on July 29th and in South Korea on August 1st. The game will be released on PS Vita via the PSN store. Not only is this exciting news for fans of 5pb. 's games (who are the developers behind popular visual novel series Steins;Gate and Chaos;Head), it has also been an important experience for 5pb. as it is their first international release. Producer Masaki Sakari stated (via Gematsu's original article) that it was a big learning experience for them that he expects will be useful going forward. Hopefully this means we can expect more 5pb. games in the West in future! The Japanese trailer for Phantom Breaker: Battlegrounds can be seen below. The trailer also features cameos from some Steins;Gate characters! Have something to say about this article? Comment below or send a tweet to @JRPGJungle!